Look no further for the all-in-one bounce ride! 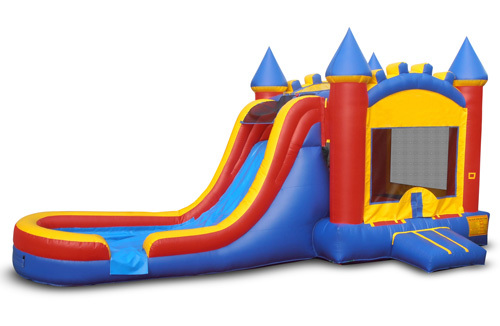 With a complete water slide attached with landing pool, this bounce house has everything! 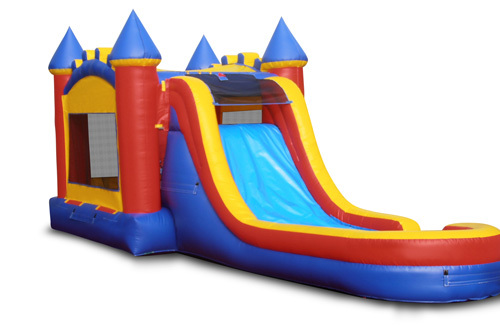 Enter the bounce house for a quick jump. Once you’ve built up that sweat, climb up the stairs to the water slide. Slide down and splash in the landing area. Fun for all ages!